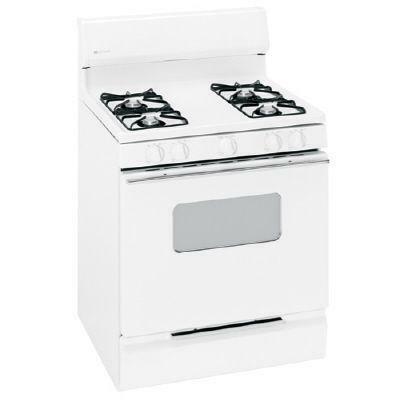 General Electric AGBS300PJ Gas Range. If there’s one thing that I know, and I should after 30 plus years in the business, is appliances – commercial and domestic. From time to time I will be reviewing some of the new units coming out on the market. Included in my reviews will be reactions from those who already own them. Since we are living in a time where every penny spent needs to be “well spent” I feel that finding the right match in you and your appliance is something that is worth talking about. Out of 17 folks who reviewed this unit, 13 gave it a 5 star rating. 1 gave it a 4 star rating, and 3 gave it a 3 star rating. “I bake alot. Love this stove. Can get lots of pans in large oven. Have had this stove for a year now. Easy to clean. No bells and whistles to run the price up. The only complaint that I could find, other than the lack of “bells and whistles” was problems that arose with the ignition system. By the way, those sort of problems are generally brought about by improper cleaning (failure to do so) of the units. Orifices are very small, and the slightest grease can block them. Also, any range using electronic ignition will have problems when grease or corrosion builds up on pilot or ignition surfaces and sensors, Sooooo, don’t let the pizzas pour over onto the bottom. Sure, I like GE. When I was working in domestic (household) appliances I was an authorized GE service center, but this unit has come out since that time so I review it without prejudice.